← Wouldn’t you know that the stupidest lawyers in the country work for California Law Schools! The best defense, the saying goes, is a good offense. The key orchestrators of the Big Trump-Russia Collusion Lie seem to have hewed tightly to that tactical advice. As do those of their comrades in the Obama national security apparatus, including former Director of National Intelligence James Clapper and his partner in possible crime, former CIA Director John Brennan, who, apart from former President Barack Obama himself, may be the biggest player of them all. Any investigation into the origins and execution of the Big Lie must focus on Mr. Brennan, whose job as the nation’s chief spook would have prohibited him, by law, from engaging in any domestic political spy games. Of course, the law didn’t stop him from illegally spying on the Senate Intelligence Committee by hacking into its computers and lying repeatedly about it, prompting Democratic senators to call for his resignation. Once out of Langley, Mr. Brennan tore into Mr. Trump, accusing him of “treason” (among other crimes) in countless television appearances and bitter tweets. It got so vicious that Mr. Trump pulled his security clearance. Consider a few critical data points. The Obama Department of Justice and FBI targeting of two low-level Trump aides, George Papadopoulos and Carter Page, was carried out in the spring of 2016 because they wanted to spy on the Trump campaign but needed a way in. They enlisted an American academic and shadowy FBI informant named Stefan Halper to repeatedly sidle up to both Mr. Papadopoulos and Mr. Page. But complementing his work for the FBI, Mr. Halper had a side gig as an intelligence operative with longstanding ties to the CIAand British intelligence MI6. Another foreign professor, Joseph Mifsud, who played an important early part in targeting Papadopoulos, also had abiding ties to the CIA, MI6 and the British foreign secretary. A third operative, Australian diplomat Alexander Downer, targeted Mr. Papadopoulos in a London bar. It was Mr. Downer’s “tip” to the FBI that provided the justification for the start of Russia counterintelligence investigation, complete with fraudulently-obtained FISA warrants to spy on the Trump campaign. All of these interactions reek of entrapment. Mr. Papadopoulos now says, “I believe Australian and UK intelligence were involved in an active operation to target Trump and his associates.” Like Mr. Halper and Mr. Mifsud, Mr. Downer had ties to the CIA, MI6 and (surprise!) the Clintons. Given the deep intelligence backgrounds of these folks, it’s difficult to believe that former DOJ/FBIofficials such as Peter Strzok or even James Comey and Andrew McCabe on their own devised the plan to deploy them. So: who did? How did the relationships with Messrs. Halper, Mifsud and Downer come about? Who suggested them for these tasks? To whom did they report? How were they compensated? Any investigation must follow the money — and the personnel. There were plenty of DOJ/FBI officials involved, but what about intelligence officials? Was Mr. Brennan a central player in the hoax, which would help explain the participation of Mr. Halper, Mr. Mifsud and Mr. Downer? Intel officials are likely to draw on other intelligence operatives. Indeed. It was right before the publication of the ICA, the official Intelligence Community Assessment of Russian 2016 election interference. As Paul Sperry has reported, “A source close to the House investigation said Brennan himself selected the CIA and FBI analysts who worked on the ICA, and that they included former FBI counterespionage chief Peter Strzok. “Strzok was the intermediary between Brennan and Comey, and he was one of the authors of the ICA,” according to the source.” Recall that the dossier-based ICA was briefed to Obama, Trump and Congress ahead of Trump’s inauguration. These are just some of the threads suggesting Mr. Brennan may be one of the Masters of the Big Lie, requiring full investigation. 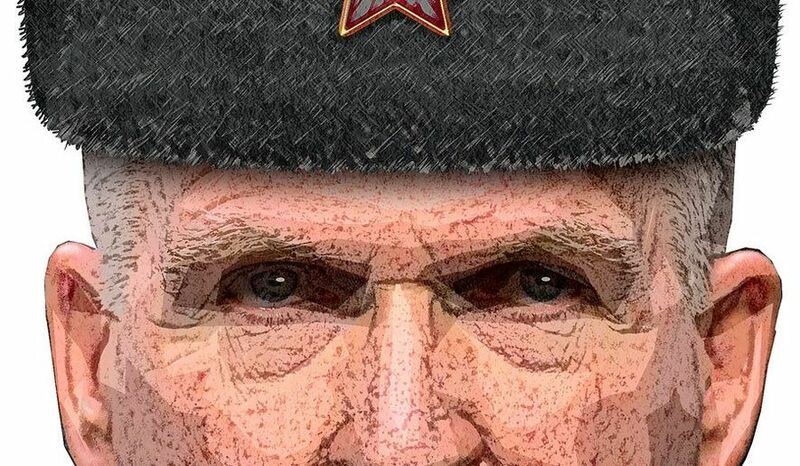 If the devil is in the details, Mr. Brennan is all over the details. No wonder he — and his fellow caballers — have been so loud. They doth protest too much. • Monica Crowley is a columnist for The Washington Times.